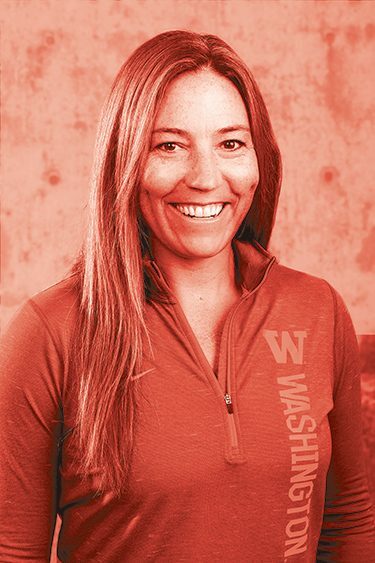 This former Husky walk-on third baseman has drawn the UW’s map for success, including the NCAA title in 2009. She has the purple and gold nationally ranked in her 13th year as head coach. 1. What is this season’s outlook? We have a returning core of six seniors who can mentor our six newcomers. We want to lean on the seniors to show us the way. Teams that create their own leaders always succeed better than those led by coaches. 2. You have a player from Australia? At first, she was not interested because she grew up in sunny weather down under. But she wanted to study psychology, and once she learned how great the UW psychology department was, she changed her mind. That speaks to what a gem this University is. 3. Only two northern schools (UW and Michigan) have ever won a national title. Why? We’re not an obvious choice for players. It’s hard to play up here in the Pacific Northwest because of the weather. The only way to be successful in this part of the country is to run camps so we can develop players. 4. You played and coached here. Compare. I had an awesome time as a player and even had the opportunity to compete in the College World Series. As a coach, I want to give exponentially so today’s players can have an even better experience. That goes for the classroom as well. In 2004, our team GPA was 2.84. Now, it’s 3.4. 5. Share a favorite success story. We had a player in 2010 who tried out as a walk-on but didn’t make the team. When we lost a player to injury, I asked her to come back as a practice player. Four years later, she not only made the roster but was our starting second baseman on a team that went to the College World Series. That’s impressive.